Overview: Open the doors and walk inside a Japanese garden where golden roads lead to victory. 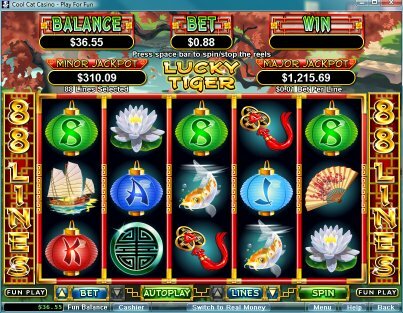 Lucky Tiger is all about Eastern culture with its colorful display of animated symbols and fantastic cash prizes that make up for a one of a kind slot machine that defies all definitions. Sail on the boat across the ocean and land into the island where the Lucky Tiger gives away huge payouts. Spin the reels of this majestic adventure and discover its many features including two progressive jackpots and up to 88 configurable paylines. 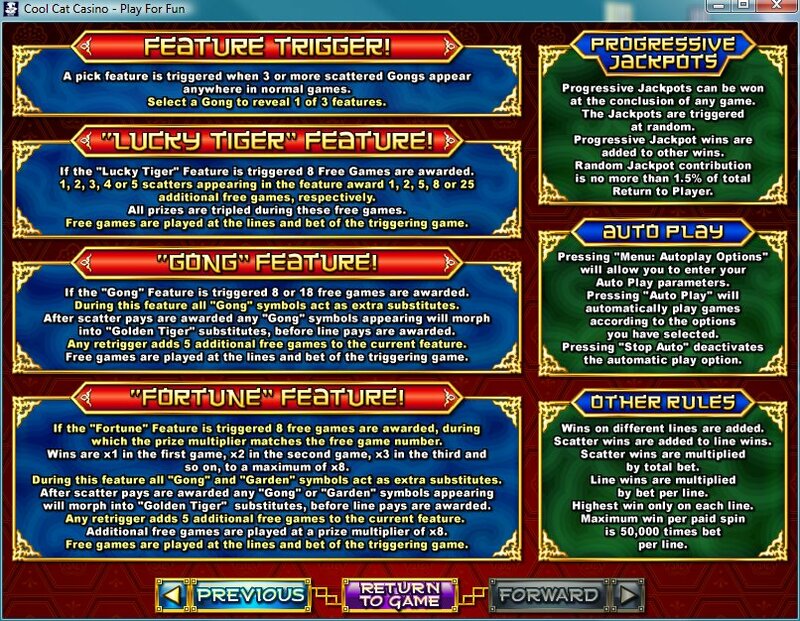 Similar Slots: If you like Lucky Tiger, you might like these other slot machines from RTG: Aztec's Treasure, Fame and Fortune, Football Frenzy, Glitz & Glamour, Goldbeard, Haunted Opera.